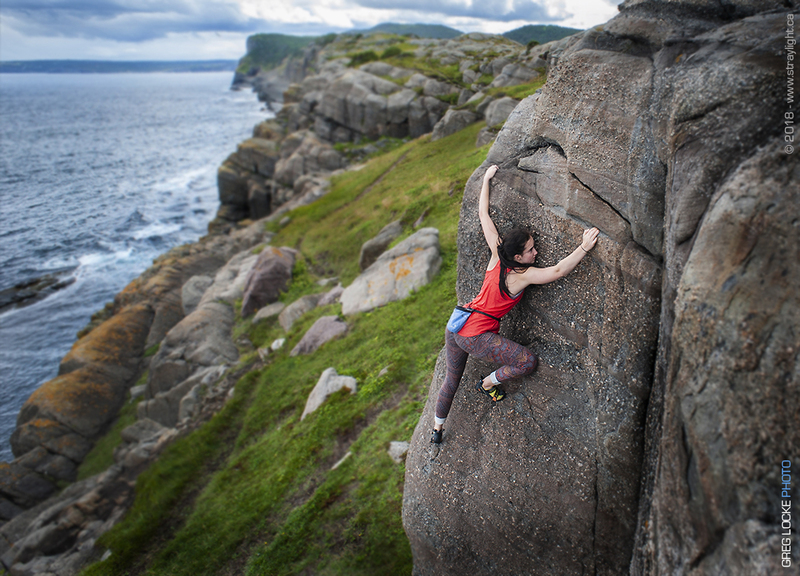 Erinn Locke climbing on the Crab House boulders in Flat Rock, Newfoundland. for Global Climbing Day. She is a competition climber, member of the Alpine Club of Canada and supported by Scarpa and Prana through Agences Stephane Morin in Montreal. This entry was posted in #exploreNL, Canadian Journalist.ca, Climbing Newfoundland, Latest Work, The Blogs and tagged adventure, athlete, climber, climbing, explore, extremesports, newfoundland, outdoors, photography, prana, rockclimbing, scarpa, sports. Welcome to the blogs at Stray Light Media and GREG LOCKE PHOTO. Here you will find some of our current work, adventures, personal stories notes from the road while on assignment and news and insights from the photography, video, film, digital imaging and media world. Not to mention, more often than not, late night ramblings from the studio elves. Share your thoughts, ideas and opinions. Comments are welcome, but moderated, so bring your insight and smarts to the discussion. Want to keep in touch via Email?